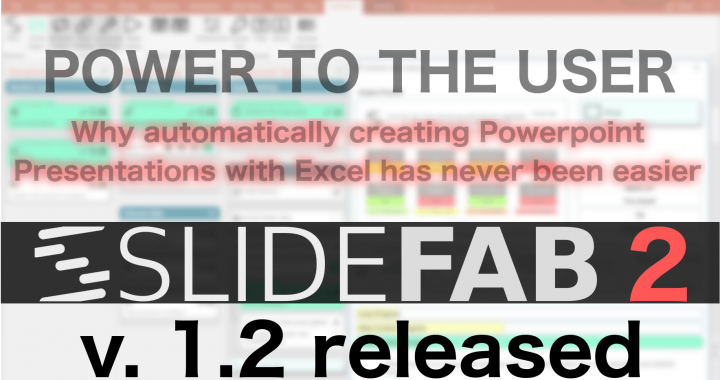 SlideFab has now the function to open up image files (e.g. jpg, png) from the hard drive and put these images into Powerpoint slides. 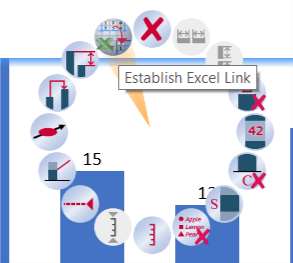 As filenames can be computed or looked up from lists with formulas (e.g. 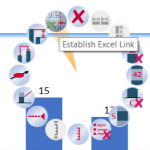 VLookup or Index/Match), this new feature opens up a world of new possibilities. For example, when embedding company logos into the presentation it is not necessary to add these images to the Powerpoint file itself. 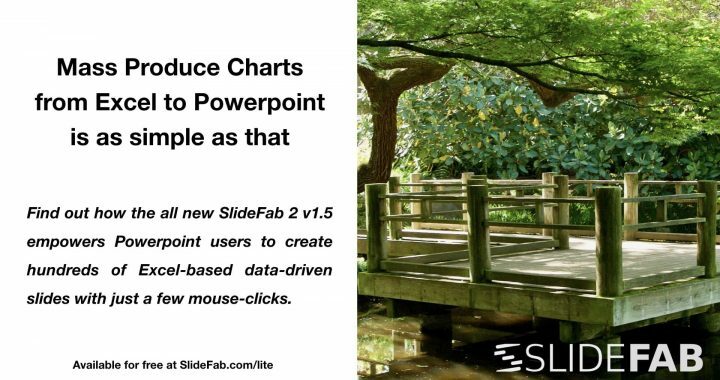 On top of these new features SlideFab got a massive speedup improvement which will pay off for larger presentations with hundreds of slides. 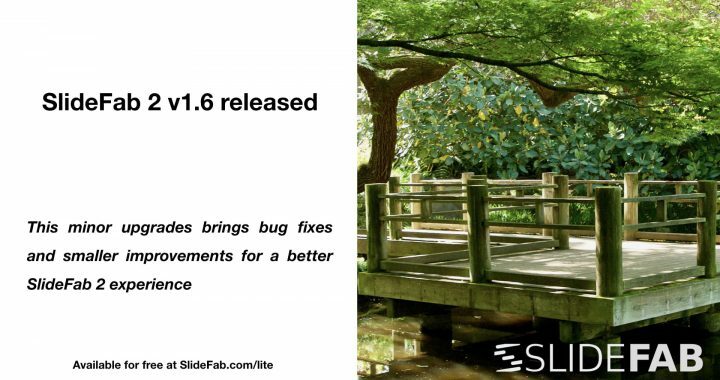 SlideFab v1.9 also supports the format painter for indirect shapes and images from files. For example, when a drop shadow (or border, reflection, etc.) is set in the template for a shape which will become a picture when running the slide fabrication, this drop shadow will appear in the output file as well. 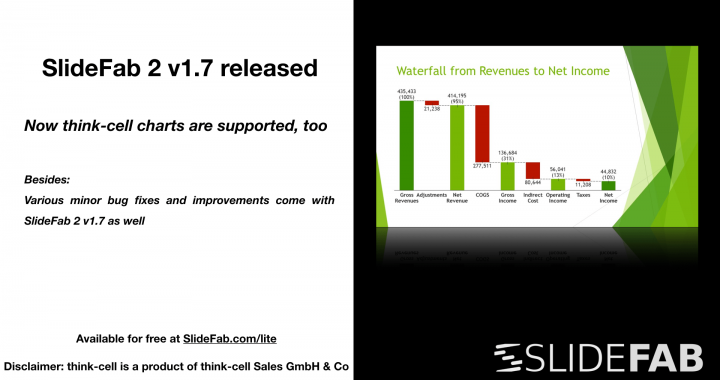 The following lists give an overview of the novelties and bugfixes since version 1.8.